When we put them to bed, when they wake up, when they sit down to play, our goal as parents is for them to feel safe, loved, focused on; environments that support our hope to nurture and grow good humans. 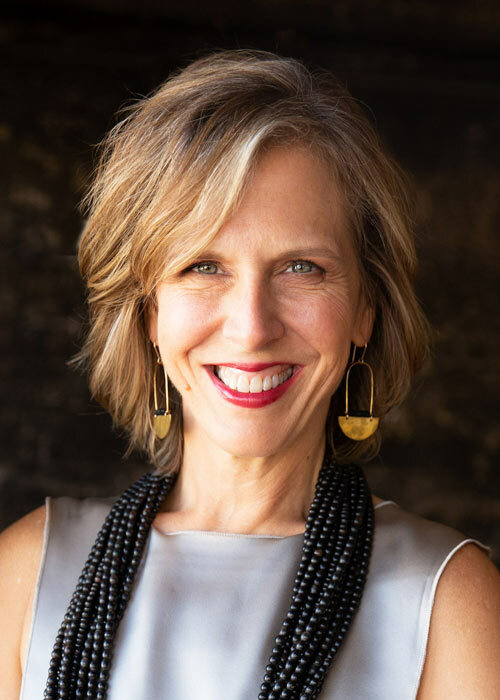 If we’re being even more honest about this topic, for some of us — when we choose furnishings, fixtures, wall coverings, colors, textures, art, and toys — we are likely, in some way, trying to create a space that gives us something of what we may have wished for as children, and feel we didn’t receive. Or if we had one of those rare perfect childhoods, we are trying to relive what we loved from those precious years as children. How we design for our kids reflects the qualities and values that we are wanting to impart to them. We also want to strike a balance between the room being appealing to us — so that we want to stay in there longer — and being kid-friendly. Plus, we want to design for longevity as much as possible, so that hopefully we won’t have to redecorate much as our kids grow. 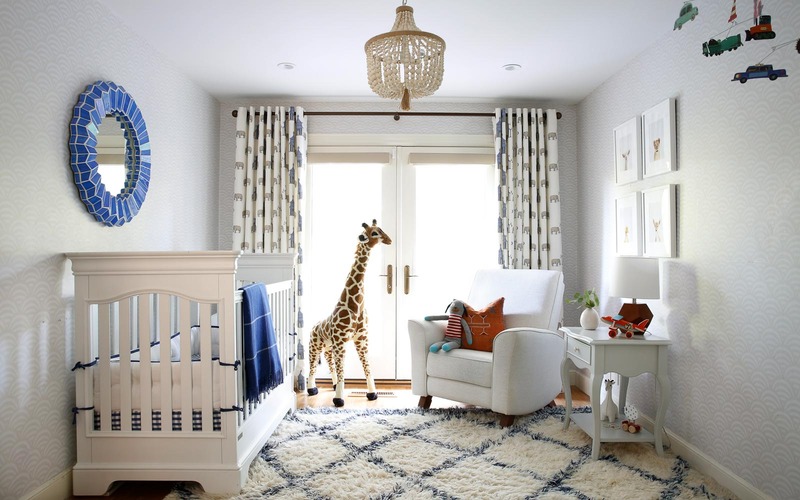 A well-designed nursery can be a base that, with a few modifications, can last through childhood and into their teens. Investing in quality furnishings and changing out decorative accessories is one strategy that we use to balance the feeling tone of high-quality pieces with the need to meet shifting needs, aesthetics, and interests; selectively adding in retail pieces as appropriate for budget-friendliness. The nursery pictured in this post was the bedroom of this family’s first child, a girl, which our client had previously designed, on her own, initially. Now, with the addition of some higher-level layers, and a few changes, it is the nursery for her little brother. The wall coverings, light fixture, glider chair, and other furnishings all carried over from first to second baby, girl to boy. To update the room, we selected new drapery, in a fun, animal pattern, by Katie Ridder (via Holland and Sherry) and a beautiful high-quality wool rug from STARK, in a blue pattern that will hopefully stay relevant until college. 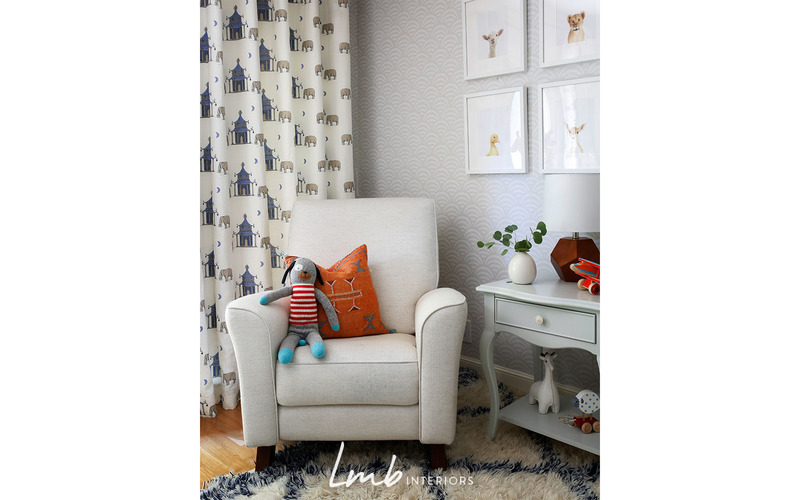 Case in point, the animal print drapery is a favorite for our client because she loves elephants. We have yet to determine if little Sawyer feels the same! Although, that said, who doesn’t love elephants?! A lot of love and time went into designing that custom bed. Especially the detailed railing, the drawer handles, incorporating the bookshelf into the headboard, and the choosing the contrasting wood for the ladder. The bed will hold its own long into teenage-hood — because sleepovers. The pink hand-knotted oriental rug, sourced via PAK in San Francisco is another high-quality piece that had originally been purchased for the daughter’s nursery and transitioned easily to her new room. While you may cringe at the thought of a big, heavy, tile-framed mirror like that hanging over a crib, please know that this is not the normal set-up. The photograph is not showing the actual layout of this room. We moved the crib there during the photo shoot, because that made for a good picture. 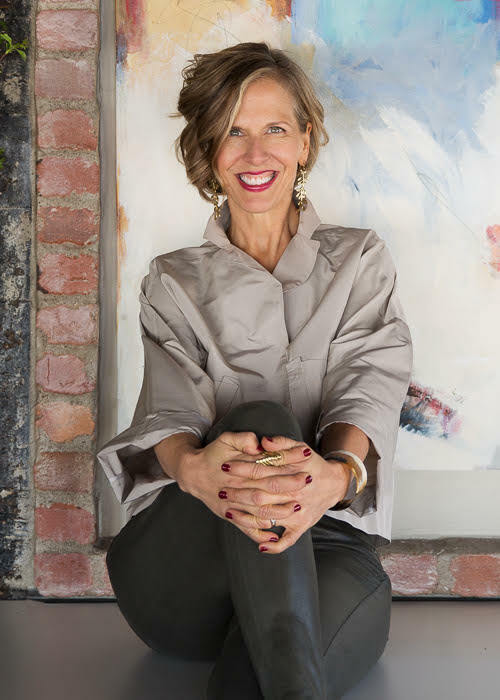 Truth be told, much of what you see in interior design photographs, across our industry, is staged, from furniture positioning to fresh flowers, and more. Welcome to the behind-the-scenes world of interiors photography! You know, at LMBI, we do our best at all times to keep it authentic, and we do, mostly; but prepping spaces for photoshoots…well, that’s a longer story for another article!